Andrea Pellicani, senior global strategy contultant in UNILEVER, explains his experience after the MBA in EADA. Mountains of garbage accumulating on the side of the road, kids drinking dirty water from small pools, cows eating plastic waste….After the initial shock, the trip from the airport to the hotel in India became one of the best mind-opening experiences I could possibly have imagined. How to reduce and recycle packaging? Is water harvesting an option and how to minimize its usage? How segmented are the needs of this market of 1.2 billion consumers? That was only the beginning of a 4 month project in one of the world’s biggest emerging markets, struggling between the needs of hundreds of millions of new consumers and the need for a sustainable development. I have the privilege of working in the internal consulting team of Unilever, the biggest consumer company in India, a company that truly lives up to the principle of sustainability throughout its worldwide operations. The reason I was sent to India was to model the balance between market growth and the social and environmental responsibilities derived from being a market leader across categories. My learning experiences in the International MBA were pivotal to landing this job, which I love. The Corporate Social Responsibility module of Professor Manuel Marin was particularly important: it was during these classes that I had one of those a-ha moments that drive the major decisions in life. I needed an International MBA to succeed as a global management consultant, to satisfy my developed environmental and social awareness, but I could only think of small scale actions in my daily life. At the end of the MBA, it was clear that through my job I could satisfy both needs: companies, no matter how big, are pressured to behave responsibly and must incorporate these new norms of behavior into their strategies. With drive and solid academic preparation, I am now able to do satisfy my needs in a multinational company with operations in 180 countries that is a winner for 12 years straight of the Dow Jones sustainability index. 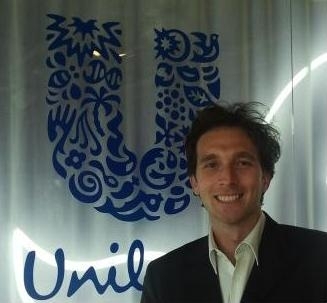 I am only at the beginning of this global journey with Unilever, but I am already proud of the achievements my team has reached: the strategic changes we bring to a large-scale business and the contribution to the daily lives of millions of customers, making the world a better and cleaner place.